They may seem like the most unlikeliest of allies, but billionaire businessman Donald Trump and the Royal Society For the Protection of Birds (RSPB) are joining forces to fight a Scottish wind farm project. Over the last few months, the property developer has battled the proposed building of an offshore wind farm, which he says will spoil the view of his championship golf course in Aberdeenshire which is due to open in July. Now the Scottish branch of the RSPB has added its weight behind Trump’s campaign, with the charity arguing that the project has the potential to harm the rare birds which frequent the area. Although it’s importance to Aberdeen and Scotland’s renewable energy ambitions cannot be overlooked, Trump claims that the development of an 11 turbine wind farm in Aberdeen Bay is a ‘disastrous and environmentally irresponsible’ project. Despite having voiced their own criticism of Trump’s plan to build what he describes as ‘the world’s greatest golf course’, the two appear to have set aside their differences. “(Aberdeen Bay) is an important area for many species. 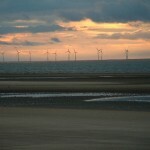 Since this is a European-funded test centre, it is crucial that a thorough research programme is developed to help understand how this and the many forthcoming offshore wind farms can reduce their impacts on birds and other marine wildlife,” said Ian Francis, RSPB Scotland area manager for north-east Scotland. “More planning, research and monitoring is needed to ensure we truly understand the impact this site may have on local birds,” he added.